From Elgin grapes but certified under the broader denomination of Cape South Coast. Matured for nine months in older oak plus a small portion of plastic egg. The nose is quite heady with floral perfume before yellow peach and spice. 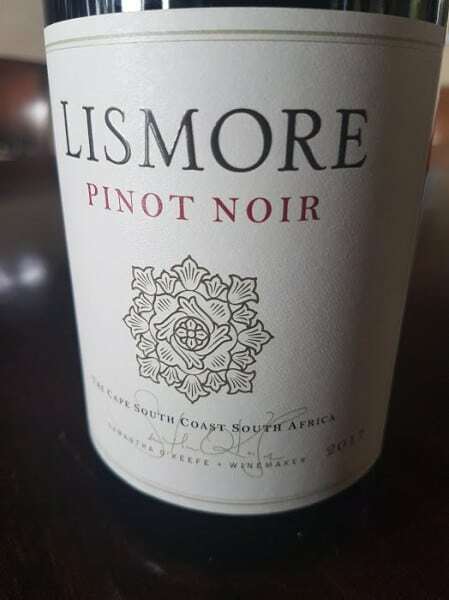 The palate is rich and full with plenty of ripe fruit but not entirely without freshness. A lavish wine but then again not many people choose to drink Viognier for its understatement. Alc: 14%. 60% of grapes from Stanford, 40% from Elgin, winemaking involving 30% whole-bunch fermentation before maturation in barrels of various sizes, 30% new. A most enticing nose of raspberry, wild strawberry, red cherry as well as musk and hints of fresh herbs and spice. The palate is light bodied but intensely flavoured with a real energy about it – great fruit definition, snappy acidity and lovely fine tannins. A touch more edgy than the maiden 2016 but not unduly esoteric.